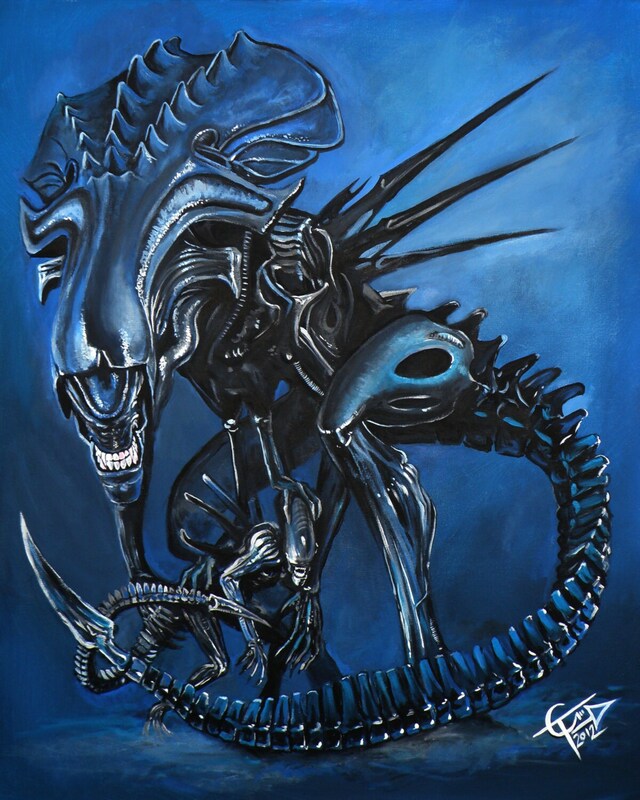 Alien Queen was painted in 2012 on Canvas Board with Acrylic Paint. Print sizes include 11x14, 14x18 and 16x20 they might be slightly smaller or larger depending on the painting. All prints are printed with a border around the print for ease of framing. Specialty Items take longer to ship to you because I have to contact my lab to create the print for you. This includes Canvas Prints, Metal Prints and Mounted Prints. This takes around three weeks normally.